Odenton is arguably the fastest growing area of the county and is also adjacent to Ft. Meade and home to one of the busiest MARC stations. BikeAAA has attended a number of Odenton Town Center Master Plan committee meetings as well as other other public meetings focused on nearby roadways such as the Rt. 175 widening project. BikeAAA active member and Odenton resident Glenn Gunter is leading the charge on tracking and providing input to the plan which includes a bicycle and pedestrian network. A Draft Plan was released by the county in December, 2015 ( see OTC Draft & Details )and it reflected prior BikeAAA input (Read BikeAAA OTC Support) to the committee as well as county and state elected and appointed officials. 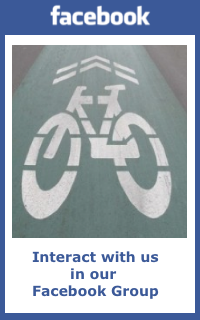 In January 2016 we provided additional response (BikeAAA OTC Support January 2016) which is focused on building out a safe, interconnected and signed network of bike routes.